This vinyl is limited to 300 copies and includes a download coupon for the digital 3-track EP. Physically as a 4-track vinyl 7″ from Tenderversion. Digitally as a 3-track EP from Bandcamp (mp3, flac etc.) iTunes and Spotify. 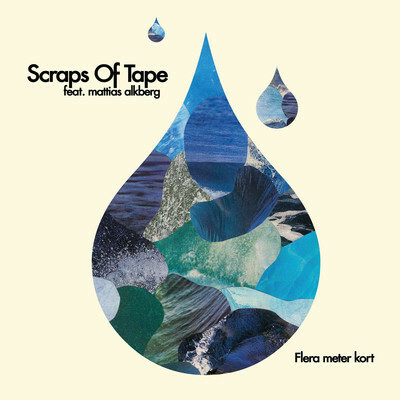 All music and lyrics written by Scraps Of Tape except lyrics on Flera Meter Kort by Mattias Alkberg. All instruments recorded at Welfare Sound in Göteborg on 2011-02-18 by Per Stålberg and Olle Björk. Vocals for Flera Meter Kort were recorded at BD Pop-Studion, Luleå by Tomas Bäcklund. Additional vocals on Same Black Clouds by Per Stålberg (Division Of Laura Lee).